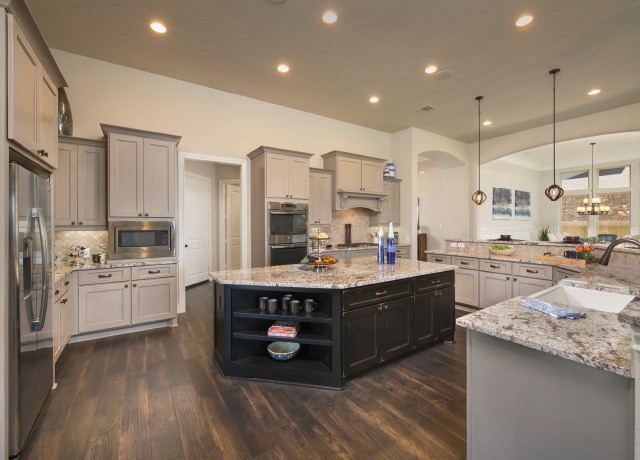 Ravenna Homes, a new luxury homebuilder, debuts the grand opening of their new model home in Firethorne, a master-planned community in Katy. 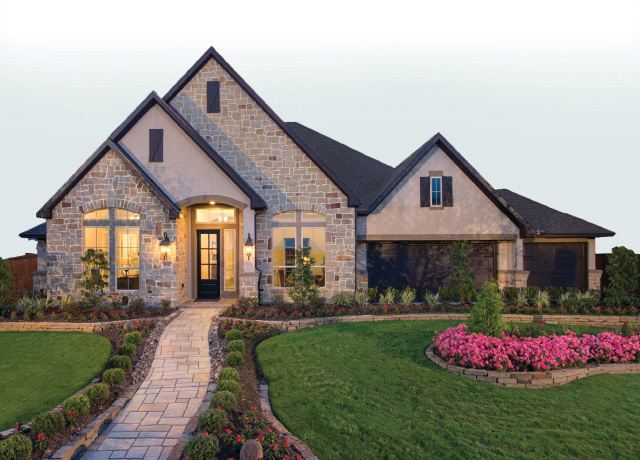 The Houston homebuilder offers spacious floor plans, distinctive architectural details, and superior quality. This 1-story model home showcases a brick and stone front elevation, 2,860 square feet, four bedrooms, three full bathrooms, and boasts 12-foot ceilings. Visitors enter the home through a large entry that extends past the dining room with hardwood floors to an open family room featuring a corner fireplace and full wall of windows. Serving as the main focal point is the elegant kitchen featuring a large vent hood with arched valance and ornate decorative corbels, 42-inch raised panel cabinets, an oversized curved island with granite countertops and hi-bar seating space. The enormous 15×13-foot breakfast room comfortably accommodates a breakfast table that seats eight. An impressive outdoor living area is the perfect area to entertain with its huge 32-foot wide covered patio and stone corner fireplace. 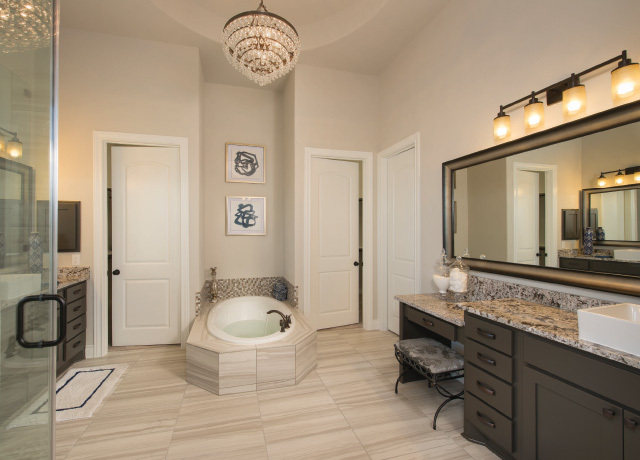 The master suite includes a spacious master bath with 6-foot garden tub, separate shower with seat, His and Hers vanities, and walk-in closet. 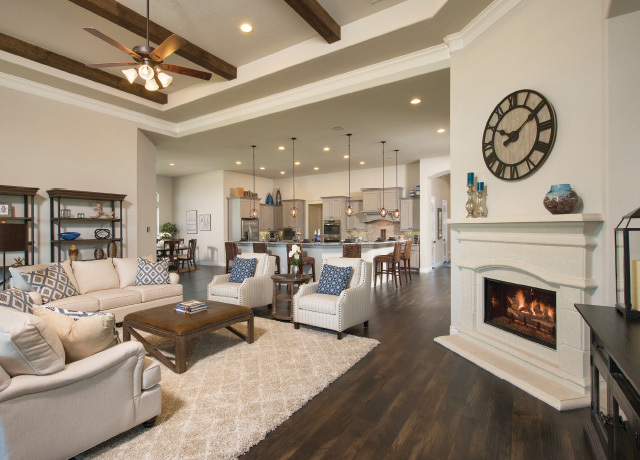 In addition, visitors can tour available inventory homes in Firethorne that are ready for immediate move-in. Floorplans range from 1,930 to 3,500 square feet and start in the low 0’s. Unique standard features in every Ravenna Home include decorative ornate vent hoods and banks of drawers in every kitchen, 24-inch floor tiles, and much more. Homebuyers can further customize their home as an array of options are available including home automation to control lighting, heating and cooling, home entertainment, and security – all easily accessed from anywhere with your smartphone. Ravenna Homes is a RESNET EnergySmart Builder committed to building energy efficient homes.